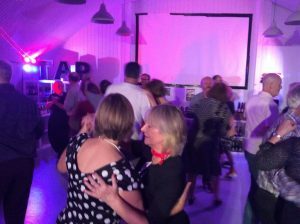 Heres a throwback photo to one of our jive parties we taught at for a regular dance social dinner and dance! Social Jive Dance basic steps consist of two slow steps on the spot and then a ‘quick quick’ rock back and forward. The steps should be light and bouncy and the upper body is free and responds to the usually jazzy and lively music with an air of showmanship and lots of smiles! We’re not just about weddings. TLOD has also taught Jive and Swing dance parties for many occasions such as birthdays and commercial party events. Taster sessions in any dance style are a fun way to help guests get up to their feet and onto the dance floor. Your guests get mingling whilst learning some basic steps too! BALLROOM, BRIDE, BRIDE AND GROOM, CLASSIC, DANCE, EVENT ENTERTAINMENT, FIRST DANCE, FIRST WEDDING DANCE, FOXTROT, GROOM, HEN PARTY, JIVE DANCE, LATIN, LATIN AND BALLROOM, LOVE, ROMANTIC, RUMBA, SALSA, SOCIAL DANCE, SWING DANCE, WALTZ, WEDDING, WEDDING DAY, WEDDING PLANNER, WEDDING PLANNING. PERMALINK.